These Caves in Bermuda Inspired the ’80s TV Show “Fraggle Rock” « Adafruit Industries – Makers, hackers, artists, designers and engineers! 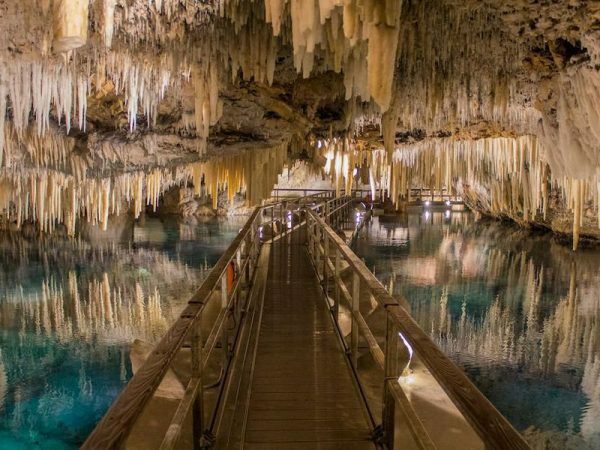 For residents of Bermuda, Crystal Caves is one of the island’s many crown jewels, but for Bermudian Michael K. Frith, co-creator of the beloved 1980s puppet TV show “Fraggle Rock,” the caves were an inspiration. Since he was a child, Frith recalls spending time exploring the caves tunneling beneath the island’s eastern edge, about eight miles from Hamilton, the island’s capital. From marveling at the finger-like stalactites gripping the caves’ atrium-like ceiling and the massive stalagmites rising from the ground to seeing their reflections glisten back at him in the subterranean expanse’s crystal-clear pool, he soaked everything in. So, years later, when famed filmmaker and puppeteer Jim Henson tasked Frith—a former Random House editor and illustrator (fun fact: he edited many Dr. Suess books) who was then working at the Jim Henson Company—and his colleagues to create a new TV show targeted at children, Frith looked no further than the “magical world” resting right beneath his feet.